In the study of wind turbines injecting power into the grid, the last is often considered ideally with infinite short-circuit power. Therefore it cannot be influenced by the connection of additional loads or generators. As a matter of fact, each deviation of the generated power from the absorbed one causes a variation of the network voltage frequency and, through the impedance of the different lines, it causes also a variation of the voltage with respect to the rated value. As a consequence, the higher the ratio between the rated power of the wind plant and the fault level of the system at the connection point, the more the network is influenced by the connection of the wind turbines. By schematizing and by simplifying, a power grid can be divided into four main sections: generation, transmission and primary and secondary distribution (Figure 1). Power generation is historically carried out by large synchronous generators installed in big power stations supplied by “traditional” energy sources (Usually thermoelectric power stations supplied by fossil or nuclear fuels and hydroelectric generating stations.). These generators can meet also load variations, keeping constant the network frequency and adjusting, if necessary, the supply voltage. The electric energy in these large power plants is produced in medium voltage and then transformed in high voltage and very high voltage to be injected into the grid. Energy transmission is carried out through big overhead lines or in cable at a high voltage so that the power losses are reduced. MV primary distribution and LV secondary distribution are used respectively for the supply of loads (multi or single user) of decreasing power. The distribution networks are often near the delivery points of electric energy and far from the generation power plants, have a fault level which progressively decreases and therefore are more influenced by the low or fast load fluctuations. Wind power generation plants are usually inserted in the electric power system by connection to the primary distribution section or, in case of small plants, to the secondary distribution section. 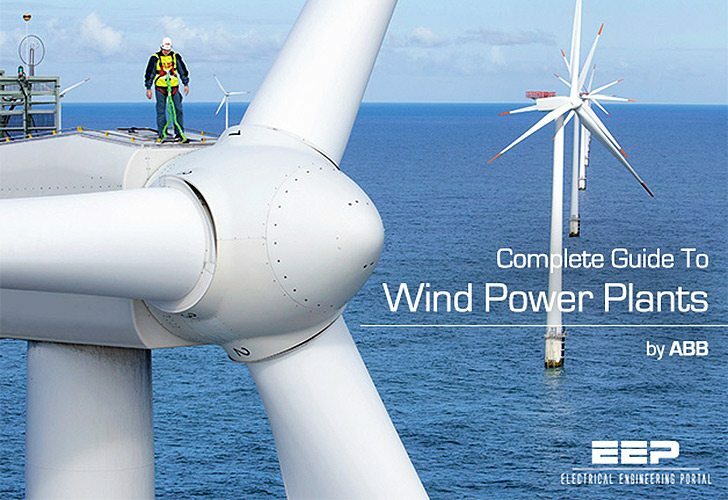 Onshore and offshore large-size wind power plants are usually connected to high voltage or very high voltage grids. Figure 2 shows a typical connection scheme to a high voltage grid for a wind power plant onshore, whereas Figure 3 shows the scheme of connection to the electric grid of a wind power plant offshore through a HVDC electric cable. With the great information/articles help me keeping updated with the dield. Would like to share with / recommend to friends. With EEP article provided by this really helped me in carrying out my duties as a team on a project commissioning thermal power (coal). All the ingredients of EEP I make the handle in taking a decision. Thank you very much.